The retired promoter said he always asked boxers if they had any medical conditions. 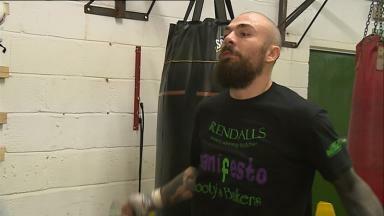 Mike Towell: His manager gave evidence. Mike Towell's boxing manager Tommy Gilmour told a fatal accident inquiry he knew nothing of him suffering headaches or seizures before he died. The 66-year-old retired promoter said he always asked boxers if they have any medical conditions when he takes them on. 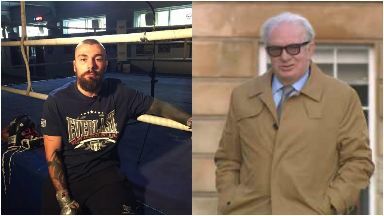 Mr Gilmour claimed he had "no recollection" of a conversation with Towell before the title eliminator fight when he's alleged to have asked: "How's the head, son?" 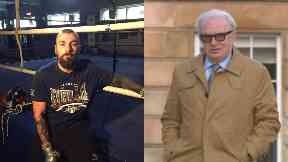 He gave evidence at the probe into the 25-year-old fighter's death at Glasgow Sheriff Court on Thursday. Towell, from Dundee, died of a bleed on the brain the day after he lost a bout in the fifth round to Welsh fighter Dale Evans on September 29, 2016. 'Iron' Mike, a welterweight fighter, collapsed after his loss to Evans in the British title eliminator at Glasgow's St Andrews Sporting Club. Mr Gilmour said he was a boxing promoter and manager for almost 50 years and in 2016 was retired but worked with some boxers including Towell, until they were able to fight for the British title. He said Towell signed a three-year contract with him in 2012, and again in 2015. Procurator fiscal depute Eileen Beadsworth asked "Were you aware between 2012 and 2015 of Mr Towell ever having any health issues?" He replied: "As far as I was concerned he had no health issues, he passed all medicals with the British Board of Boxing Control (BBBC)." He added that he asked all boxers he managed if there is any reason they wouldn't pass medicals. Mrs Beadsworth asked "I take it from that you were not aware Mr Towell suffered seizures?" The witness replied: "No, even as a non-medical person, if he mentioned the word seizures I would tell him it would be highly unlikely he would ever get his licence by the BBBC." He also said he didn't know Mike was given advice not to box. The former manager said he was unaware of any medical complaints on the lead up to the fight. Mr Gilmour was asked: "Did you discuss headaches with Mr Towell at all over that period?" he replied: "No." It was put to him that Mike's partner Chloe Ross overheard a telephone conversation that was on loud speaker, when Mr Gilmour asked him about his headaches. He said: "I have no recollection of that." He said if he had had any concerns he would have told Mike to go to his doctor and report back to him and if the doctor said there was a problem, to write a sick note, as would be done with any job, which he would pass to the BBBC. Emma Toner, counsel for Towell's mum Tracey, asked about the conversation Miss Ross described overhearing. She said "You don't recall saying 'how's the head, son?' does that sound like something you might have said?" Mr Gilmour replied: "If I had had previous knowledge I would have said something like that."